Downtweet is now geared towards a major change. The new tweet search function is a great help for bloggers covering general topics. This makes blogging more fun and informational. Expert bloggers know the benefit of knowing many things. General information is the key to making great blog topics, and Internet has been a major help lately. However, everyone can be a victim of information overload. There is too much information in the Web, drowning much important stuff. Downtweet, a Twitter application with global depth, makes general information search easier than before. Downtweet does this by utilizing people’s tweets all over the world. The application searches active Twitter tweets depending on the user’s selected category. Tweets are optimized according to their respective popularity. This function may appear simple, but it has already contributed great blog improvements during Downtweet’s early release. Downtweet has a steady visibility climb. One of the factors contributing to this is the widget’s ease of access. A user can visit Downtweet and start finding tweets right away. To do this, the user can drag and drop categories to Downtweet’s active panels. After that, Downtweet will provide the tweets in just a matter of few seconds. Length of turnover time depends on the popularity of the tweet source or speed of internet connection. Embedding Downtweet is another easy thing to do. First, the user must register in Downtweet using his email. After that, the user can customize the appearance of the widget. Bloggers noted that Downtweet will go live in less than ten seconds prior to embedding. The Downtweet widget is useful for general blogs in a way that it provides new streams of information. From information, ideas will come, thus the natural flow of blog posting won’t be disturbed. 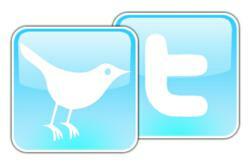 Having a Twitter search engine in a blog also improves the rate of visibility. Visitors love to interact with applications, and tweets can definitely rouse their interest. Once they are enticed by the offers of the blog, the visitors will keep coming back. It has also been proven that a tweet search is efficient in conveying needed information for bloggers and visitors. New users who want an early visibility boost for their blogs can get their widgets at http://www.downtweet.com.